Just a quick post from me today. These are a set of three shabby chic cards we made at my workshop yesterday at The Art of Craft in Farnborough Hants. This one has been very popular and I am repeating it again on the 19th February, which is fabulous. I have also added some other dates and will be teaching my shadowbox card next week and an altered domino book and an altered box in March. I designed these cards using Graphic 45 papers - A Ladies Diary and used a Memory box border die, a Sizzic oval frame die courtesy of Lucy and a Spellbinders corner die. The Martha Stewart butterfly, shabby flower, double bow and music paper added to the shabby chic effects. My group of ladies were such great fun to work with and we had a real laugh, thanks to Christine and Pat's sense of humour LOL. Shame I forgot to take photos of them this week. But thanks to Joan, Sheila, Ann, Wendy and Mary as well as Christine and Pat for a fabulous morning. Take care and thanks for joining me again today. Scrumptious! Wish I lived close enough tho attend one of your classes. Hope all is well. well, it's a little too far for me to travel!!! Such pretty cards, I saw them on fb, too. That must have been a wonderful class! lovely set of cards Brenda! lovely cards and it sounds like you had fun yesterday!! 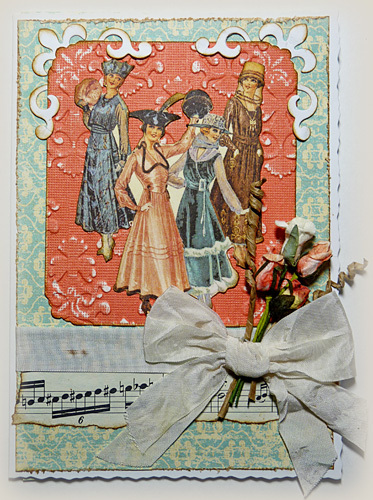 Beautiful shabby chic - your cards are gorgeous. GASP! Forgot to take photos?!?!? Not allowed! Take care next time, please. Meanwhile, these cards are just lovely. I adore those stacked flowers on the middle one. Wishing you a lovely weekend. 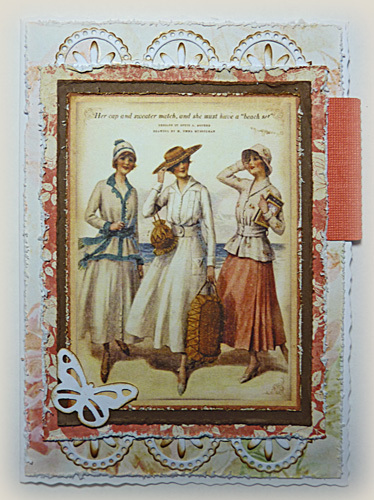 Such gorgeous and classy cards, Brenda! Wow, you will certainly be busy teaching classes, but I can see why! You have too much talent to keep it all to your pretty self! Hugs! 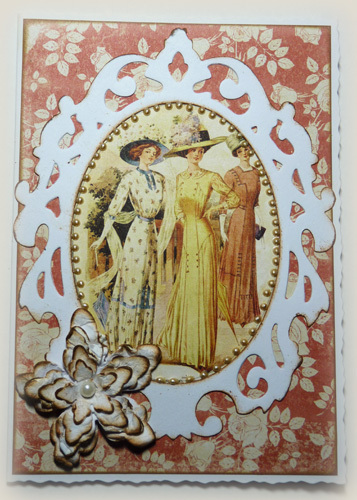 Such lovely cards - stylish vintage beauties all! The class sounds just great. Awww Brenda these cards are gorgeous. I am sure the ladies were over the moon to make them. Hi Brenda, these cards are so stylish and beautiful! I wish I could come along to your workshops...I reckon they would be awesome.